People living in a Nashville neighborhood on 35th Avenue North are complaining of development with any infrastructure growth. Tall and skinny modern houses are being created all over the neighborhood, but some developers aren't improving storm water drainage or even creating worse water back up than before. Pictures taken from the development that has caused problems for neighbors for about a year now show the flooding. 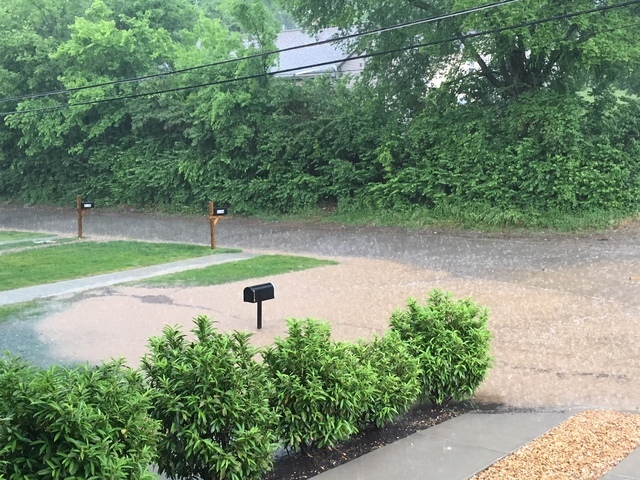 The builder extended the yards of the homes into the public right of way, creating this barrier where water pools up as high as two feet during heavy rains and keeps the homeowners from leaving their driveway. The city is working with the neighboring developer to get a permanent fix put in but it's taking many months. The developer said their building design was approved by the city first and they're actively working on a temporary fix and feel bad for the neighbors. The developer also said he offered to raise the driveways of both neighbors, but said they declined. That was six months ago. However, Meto Council Member Kathleen Murphy said if the developer followed codes in the first place this wouldn't have happened.